When trying to determine the worthiness of the controversial GT200 hand-held bomb detectors, another factor should be taken into consideration: faith. At least that’s what a member of the National Anti-Corruption Commission believes. The purchases of the GT200 hand-held bomb detectors, produced by a British firm, by the army and other law enforcement agencies about 10 years back became a major scandal after they were found to be nothing more than worthless pieces of metal that were not designed to detect bombs. The scandal was taken up by the National Anti-Corruption Commission (NACC) but nothing has come out of the investigation so far. 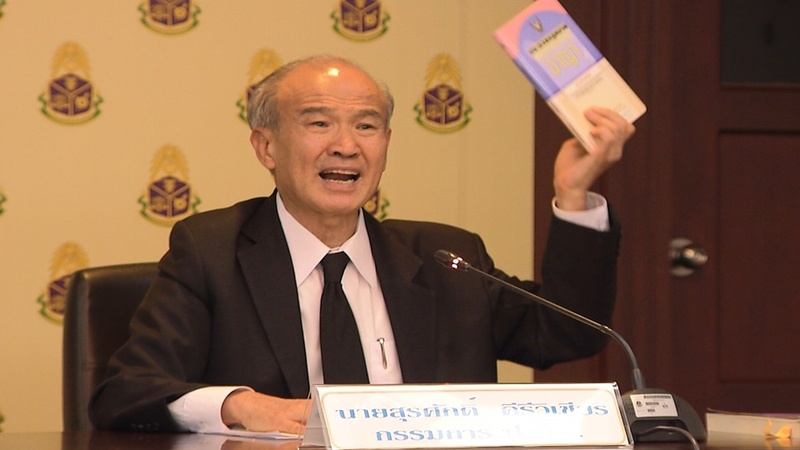 Mr Surasak Srivichien, a member of the NACC, admitted Wednesday the case is particularly complicated because the value of the controversial bomb-detectors cannot be measured in financial term alone. “It’s sometimes a matter of faith as well. Like faith that some people have in amulets,” he said. He said if soldiers in the fields have faith in the bomb-detectors and believe they work, then they would consider the equipment worth the money spent. But he admitted that there are people who question their worthiness considering the prices paid. The army under then commander-in-chief Gen Anupong Paochinda spent about 500 million baht to procure GT200 bomb detectors which are made of empty plastic boxes attached with antennae at about 900,000 baht apiece from a private British company. A top executive of British manufacturer of GT200 Global Technic, James McCormick, was sentenced to 10 years in 2013 by British court on fraud charges for selling fake bomb detectors to several countries, including Thailand. Mr Surasak, however, reaffirmed that the investigation of the GT200 procurement case was still on going and the NACC would wrap up the case before the expiry of the statute of limitations.